Toddler Approved! : Join the 100 Acts of Kindness Challenge in 2018! Join the 100 Acts of Kindness Challenge in 2018! Each year as we conclude the holidays and I reflect back on the year, the things I remember most are the kind things that people have done for me and the acts of service I have done for others. They have left the most lasting impression. I am blessed to be surrounded by friends and family members who are always doing kind things for others. I love how they are always sharing the talents and blessings that they've been given to uplift and strengthen other people. This year marks the 7th Annual 100 Acts of Kindness Challenge hosted by Toddler Approved. Over the past seven years, hundreds of thousands of acts of kindness have been done by those who have participated in this challenge and so many lives have been impacted for the good. We invite you to share our challenge with your friends and invite them to participate. Keep reading to find out how! WHAT IS THE 100 ACTS OF KINDNESS CHALLENGE? We challenge YOU and your kids/family/students, etc. to accomplish 100 Acts of Kindness between January 15th and February 14th. Do you think you can do it? Dr. Martin Luther King Jr. is our inspiration for this challenge, which is why we always kick it off on the MLK Jr. Holiday weekend. Dr. King taught about the importance of showing love and being kind... even when it is hard and even when people aren't necessarily being kind to you. Dr. King taught that LOVE can drive out hate. As we honor Dr. King along with many other great leaders who have taught about showing love and kindness, we encourage you to join us and SPREAD KINDNESS. Spread it in your homes, your neighborhoods, and your communities. Do small acts of kindness together with your families and students and see how these simple acts make a big difference in the lives of other people... and in you! No act of kindness is too small. HOW DO I PARTICIPATE IN THE 100 ACTS OF KINDNESS CHALLENGE? 1. Well, first you join our 100 Acts of Kindness Facebook group. It might take a few minutes for us to accept you, since we have to add each new member by hand and that means we have to be awake and near our computer/phone. 2. 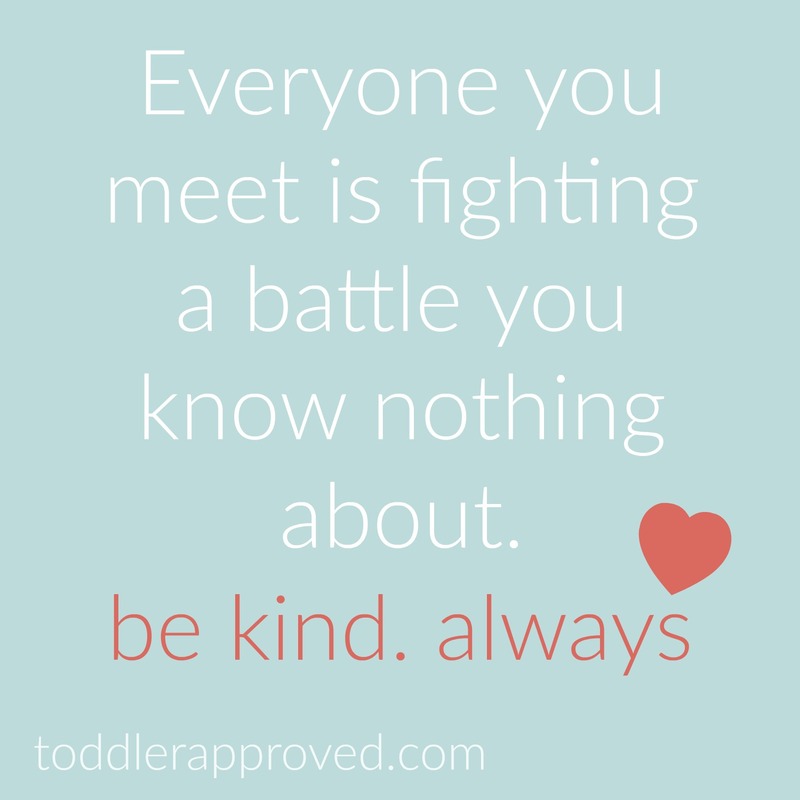 Next take a second to introduce yourself in the kindness challenge Facebook group. 3. After you join the group and introduce yourself, start brainstorming how you are going to keep track of all 100 acts of kindness that you do. Last year we created a balloon heart chart and I loved it. We popped one balloon after we did 10 acts of kindness. We've also made a kindness tree in the past. You can keep it really simple or make it more complex. We'll share a few more ideas with you in the group. We can't wait to figure out how we are going to do it this year! My kids always come up with fun ideas. 4. Once you've figured out a way to keep track of your kind acts, start doing them beginning on January 15th! I can't wait to hear what you decide to do. You can do super simple acts of kindness in your homes and you can move beyond your little sphere and reach out in your communities or even worldwide. 5. Set a goal to accomplish each Weekly Kindness Challenge. As part of the 100 Acts of Kindness challenge, we will issue a weekly kindness challenge each week from Jan 15th to Feb 15th. The challenges will be posted each Monday in our Facebook group. We encourage you to try and join us and accomplish them! 5. Follow the hashtag #100actsofkindness on Instagram and check out some of the activities we share over there too. I'm @kristinatoddlerapproved and Megan is @coffeeandcrayon. We will be sharing ideas on our main Instagram pages and on our Instagram stories. If you tag one of us in your social media posts we'd love to come check out what you are up to and possibly share what you're doing on our Instagram stories. 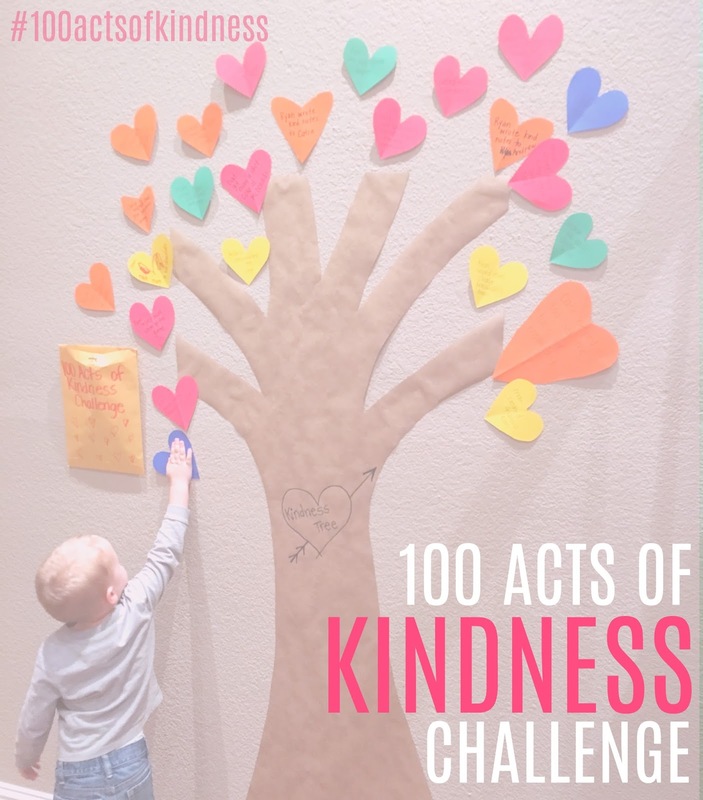 Megan at Coffee Cups & Crayons has created an awesome printable 100 Acts of Kindness chart filled with ideas of things you can do this month. I'm printing this off and sticking up on our fridge! I have created an easy Daily Kindness BINGO Card that you can use around the house with your little ones to help them get started. It is OK to do the same act of kindness more than once and count it each time! Little ones often enjoy the feeling they get from one act of kindness and want to keep doing it again and again for other people. That is fine! Through the repetition they are learning about kindness. If you need some more ideas of kind things to do, check out our Pinterest board. Our 100 Acts of Kindness Pinterest Board is filled with loads of ideas that you can try. Please share your ideas in the comments too! We can't wait to get started on January 15th! !